Mr. Lersuk Chuladesa, the President of Government Savings Bank (GSB), joined the seminar titled ?? ?Tiny-Small-Medium SMEs Survive: Thailand Survives? 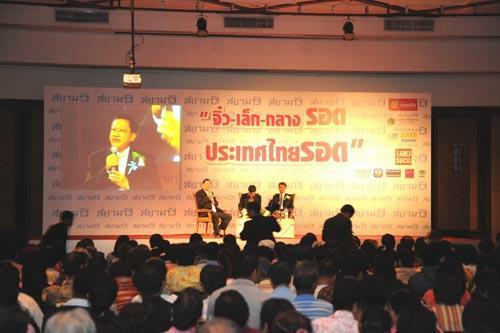 ?� organized by Siamrath Newspaper, and gave a speech along with Mr. Thirasak Suwanyos, the President of Islamic Bank of Thailand, to the leader of community in the area of Bangkok, at Queen Sirikit National Convention Center, September 28 2009.